If you wish to enjoy and practice meditation, you need to understand the term of meditation itself. The best approach to understanding the importance of meditation is to look closer into the explanations offered by some of the wisest spiritual teachers in the world. With whom to start if not with Buddha? The following understanding of meditation is attributed to him. When we meditate, what do we actually do? First we enter into our highest Self. Then the highest Self meets the lowest self for transformation. The highest Self has to be realized; the lowest self has to be transformed. And Dalai Lama, concluded: Sleep is the best meditation. Since we introduced the term meditation, we can now see more about the reasons for practicing meditation. Knowledge of Self – Through meditation we understand our inner self. Concentration – When your mind is clear, your creativity can flourish. A focused mind is more productive – especially in disciplines such as writing. Inner peace – Clearing your mind of unnecessary thoughts is a way to reach inner peace. Self-awareness – Meditation can help you fight your fears, thus increase your self-awareness. With meditation you reach the clarity of thoughts, and your inner desires. The more you meditate you become more conscious of what you are, what you feel and what you need. Calmness – Focusing on clear mind, and positive thoughts and feeling, help you neutralize negative experiences and thoughts, thus help you feel calm and peaceful. Feeling of Present – When focused on your inner self, you are more focused on present day, therefore not limited with past experiences and future expectations. Meditation helps you live fully in the present, while helping you break inner connections with your past. Consciousness – Mediation increases your level of consciences related to the world around you. When you are aware of your inner self, you are prone to become more conscious about your environment, people around you, and about the interconnections between everything. Less bothered by little things – Fear, anger, desire and pride are ruined by meditation. Since they do not hold over your thought and behavior, you can become bolder and independent. This independence and control give you the proper understanding of problems and help you detach from small things that your mind can easily magnify into serious problems. With regular practice, you will stop worrying about meaningless things, and about the past and the future. 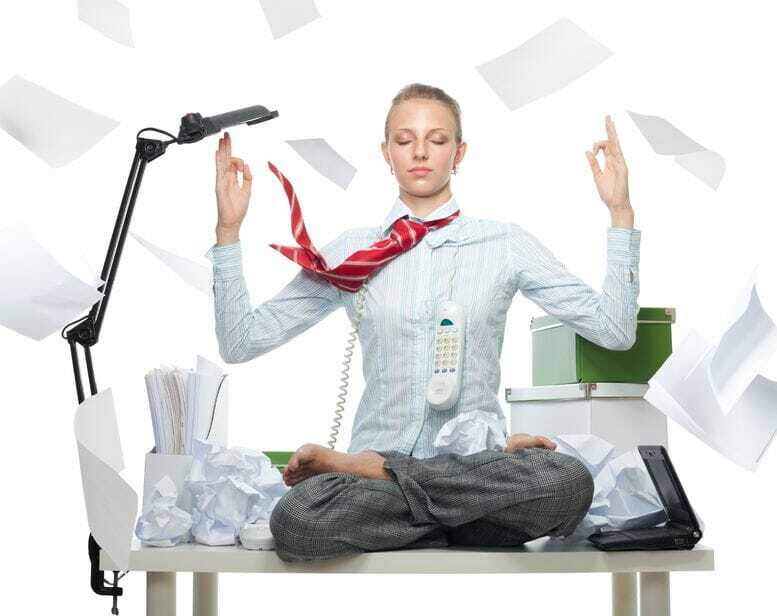 Better Health – Meditation reduces stress levels, and alleviates anxiety, numerous studies showed. Since stress can trigger various medical conditions, stress reduction will result in better overall health. Rejuvenation – We are made of energy, and mediation can help this energy flow naturally through our bodies. Stress and negative thoughts block our energy, thus block every function in our body. Clearing those blockages help us both mentally and physically, and help us reach higher levels of consciousness. Inspiration – When our mind is clear, when we are focused and concentrated, and when we live in here and now, we notice and acknowledge things around us in their true nature. Understanding the nature of life properly, help our subconscious get rid of misconceptions and misinterpretations. When we strengthen the connection with our subconscious mind, we are on our way to reach balance in our physical mind. When we see things truly, they become our source of inspiration. Fulfillment of Life – Meditation helps you understand your inner self and the world around you. With understanding comes raised awareness of being one with nature and other human beings. This awareness leads you to become the human being in the core essence of this word. When you reach all of this, you will live your life completely. There are two common misconceptions that can draw people away from practicing mediation – the first is seen in the belief that meditation comes as a result of certain religious practices, and the second misconception is regarding not having enough time or adequate atmosphere for mediation. Meditation is universal and it is an act of consciousness, thus it has nothing to do with any religious believes. As for mediation time – the answer is really simple – if you wish and want to experience something you will find the time for it. There are meditations that can last up to 3 minutes and there are those that can last longer. This is the list of the best short meditations, called small meditations. In 3 to 5 minutes, this meditation will help you relax and clear your mind. You can either sit in a comfortable position, or lay down, then close your eyes, and imagine mild mist surrounding you and approaching you, shaping into cloud. All you have to do is imagine going into that cloud, and let the energy take you on a journey through the Universe. At first it would be hard to stay focused on grey energy, but even if you lose your focus, you can just start thinking about the energy. You will feel very relaxed while meditating, almost like falling into sleep. The more you repeat the meditation, the greater the result would be. Remember, you can do this meditation 3 to 4 times a day, anytime and anywhere. This meditation offers you alertness and concentration. When feeling tired or distracted, this meditation will energize you very quickly. You can do this mediation 2 to 3 times a day, when sitting or when on the bed. You need to close your eyes, and imagine sitting or lying down in a dark grey pillar made of energy. The pillar is 2 meters high and 1 meter in diameter. You need to relax and focus on that grey energy, trying to erase all the thoughts and pictures in your mind. You can stay in that position 2 to 3 minutes, and once you open your eyes, the meditation will stop. After the meditation, you will experience better circulation and improved functions of nervous system. OM meditation is one of so called mantra meditations, or sacred word meditations. This is perhaps the easiest meditation to start with, because all you have to do is repeat a certain word, and breathe slowly and fully. Om meditation is the one you repeat the word OM (pronouncing AUM), and the longer you pronounce it, the better the effects. Repeating mantra force the mind to focus on a single thought, and the word OM, which means The Creation or The Universe, is one of the mystical and sacred sounds, which is very important in Buddhism, Hinduism, and Jainism. Once you open your eyes, the meditation stops. The best time to meditate is early in the morning, even once you wake up, while your mind is still clear in a certain way. Meditation takes practice, and through meditation you will attain the power to control your thought and improve your life significantly. Sri Chinmoy (1989). Meditation: Man Perfection in God Satisfaction. Aum Publications. Stojanovic, LJ. (2004). The Holy Knowledge – The First Revelation of the Universe.